The Pencil project is a multi-platform open source GUI prototyping tool. It allows you to design a wireframe version of a web application to create mockups. 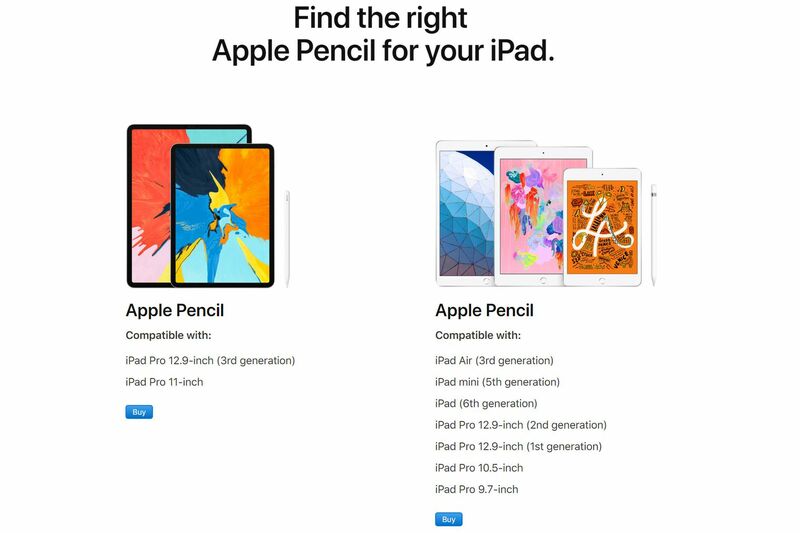 <p>When a company, in this case, Apple, replaces one simply named product like the Apple Pencil with an identically titled successor, you’d usually be forgiven for assuming that the old product is about to be discontinued. Otherwise, advertising things like “Apple Pencil support” would become super confusing for people who are shopping for a new iPad. You’d think so, but Apple apparently has no such qualms. Today, it introduced an updated iPad mini and a new iPad Air. Both of them arrived six months after the launch of the second-generation Apple Pencil, and both offer compatibility only with the first-generation Apple Pencil. The trouble with Apple’s Pencils is that they’re not cross-compatible. The first model works with one set of iPads, which has today been freshly expanded, while the second variant is only compatible with the latest iPad Pros. You can’t use the older stylus on the 2018 iPad Pros, and you can’t use the newer stylus on any other iPad. Let me say that again using Apple’s language: the iPads that launched today support Apple Pencil but not Apple Pencil. Pencil.js aims to abstract drawing with code with a clear OOP syntax.